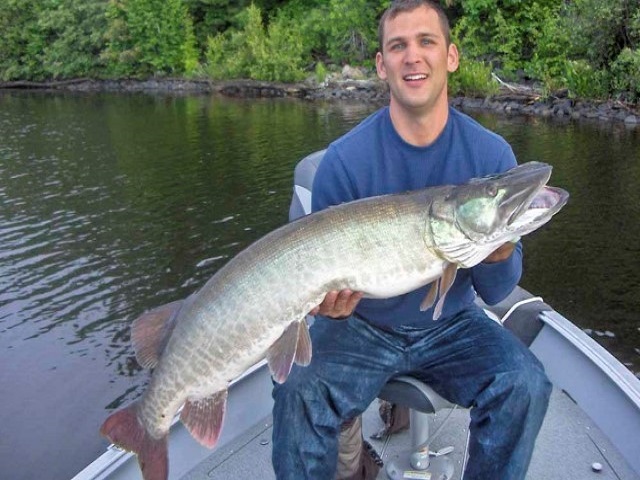 Fish the Whalesback Channel and its many islands for great northern pike and smallmouth bass action. 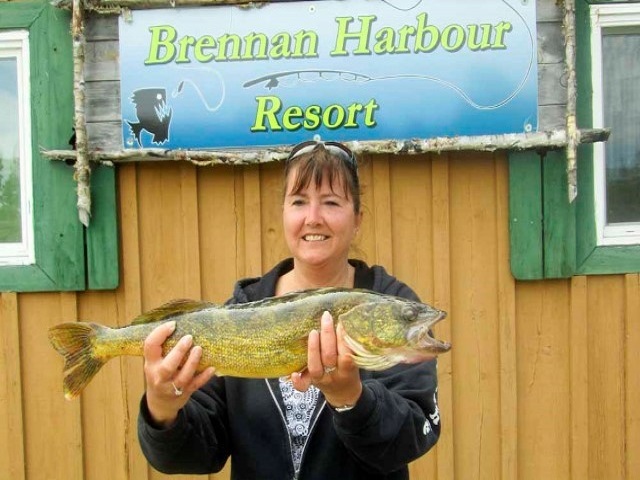 One mile east of camp is the Spanish River and its famous walleye fishery. 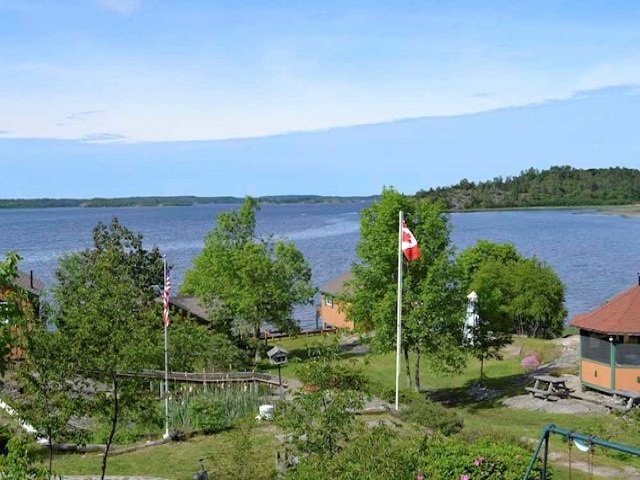 A mile to the south of the camp, the Whalesback empties into the North Channel where deep, clear blue waters hold perch, lake trout and salmon. Or, why not head inland to numerous smaller, secluded back lakes where we have boats cached for multi-species angling. Fish in comfort and style in our 16 foot deep and wide aluminum boats. All vessels come equipped with flat carpeted floors, swivel boat seats, life jackets, oars, anchors, and nets. The power is provided by new, dependable 20 hp outboards. 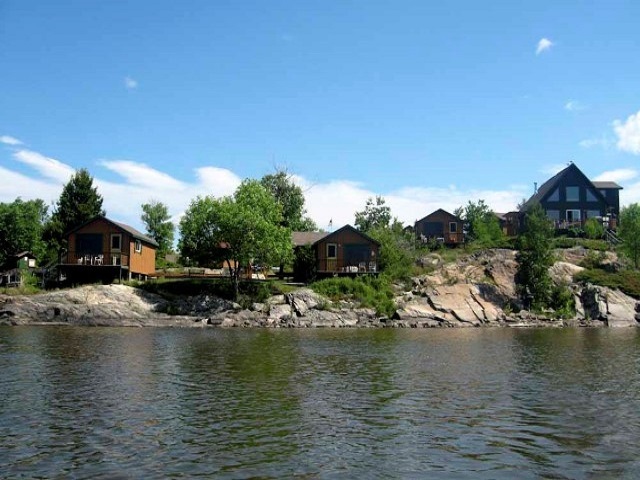 All of our cottages were newly built in 1997. They are fully equipped and modern, each with its own private lake front deck with a spectacular view of the islands. Inside, you’ll enjoy full baths with hot and cold water, full-sized fridge’s and stoves and all cooking utensils. All units have electric heat and are fully insulated for those chilly nights. All bedding and linen are provided, however, we request that you bring your own towels. Our main center beach is a natural clean sand beach, flanked by rock outcroppings. It is private, off to the side of the resort, offering seclusion. The west beach is ideal for walking, driftwood gathering and bird watching.